Rick Brar, DMD, is an accomplished dentist with a broad base of experience. 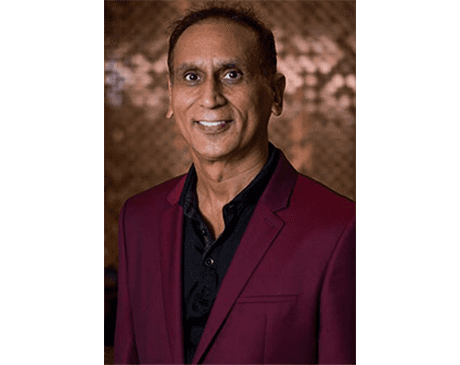 At Pro Dental Care, serving South Elgin, Sleepy Hollow, and Elgin, Illinois, Dr. Brar is honored to play a role in enhancing the dental health of the men, women, and children in his care. Education has always been essential for Dr. Brar. He earned his Doctor of Dental Medicine from Washington University Dental School in St. Louis, Missouri. He went on to expand his skills through focused training in multiple surgical specialties. Even after 25 years in practice, Dr. Brar continues to seek out opportunities to learn new skills and techniques. A dental experience in his teenage years inspired Dr. Brar to pursue a career in dentistry. He was drawn to the pivotal role a great dentist can play in the course of an individual’s life, a reality that continues to motivate and inspire him. Dr. Brar’s professional areas of focus include full-mouth rehabilitation and restoration, orthodontics, CERECⓇ, sleep apnea, smile makeover, dental sedation, and periodontal care. He strives to remain at the forefront of advancements in dental technology and is excited to see what the coming years bring to the field of dentistry. If you’re searching for a dentist who offers unparalleled skill combined with customized care, schedule a time to sit down with Dr. Brar and discuss his approach to dental health.